Highlight Homes pays tribute to the residents of Lake Martin, AL who have had to rebuild their homes and their lives in the wake of last year's tornadoes. 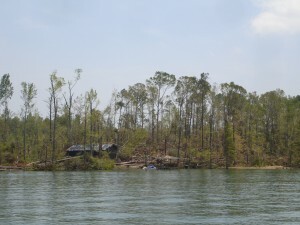 Lake Martin: This scenic lakeside community in Alabama was particularly hard-hit during the historic tornadoes that rocked the landscape in Spring 2011. Highlight Homes was honored to do our part to help in the rebuilding process, and that’s why we feel compelled to shine the spotlight on the incredible recovery by homeowners in the area. What once appeared hopeless during our time there last May has nearly been restored to its former glory during our return visit this summer. There is still a fair amount of work to be done, but we wanted to pay tribute to the collective stalwart spirit of the residents of this lovely Southern slice of heaven. Koi Ponds: Life can be tough. Between endless reports of a beleaguered economy and unemployment rates on the rise, to-and-fro travels through rush hour traffic, and the daily grind at the office, a family’s home should be a place of peace and serenity. A well-executed landscape design with a tranquil water feature – such as a koi pond – provides our idea of the perfect outdoor oasis, an escape from the world beyond your fenced in yard. Imagine putting down the briefcase, popping the cork on a bottle of wine, and heading out to the backyard to relax before dinner ­– ahhhhhhhhhhhhhhhhhh! Water features are one of our favorite renovations to design and implement, so if this sounds like something that might enhance both your backyard and your life – call Highlight Homes at 678.873.9234 to schedule a walk-through of your outdoor living space and no obligation consultation. Highlight Homes isn't shy - we LOVE to show off our work on social media sites like Pinterest, while being inspired by the work and ideas of others. Pinterest: We don’t just like Pinterest, we LOVE Pinterest!! Not only is it an amazing platform for finding images of living spaces that inspire us – it’s an awesome way to showcase our latest projects. Like proud papas and mamas flashing pictures of our babies, we invite you to follow our Pinterest page and stay up-to-date on what the design-build team at Highlight Homes has been up to! From stunning outdoor living spaces to captivating kitchen renovations, we bet you’ll find plenty that’s “pin”-worthy! Check back regularly, because we plan to add new photos every time we complete another exciting project. LandWatch.com: Every cloud has a silver lining. While many of us – homeowners and homebuilders alike – have suffered through the recession and housing market crash, one benefit that has arisen from the gloom and doom is that lot and land prices are at historically low levels. If you’ve always dreamed of owning land – something that can stay in the family and be passed down from generation to generation, you might want to become familiar with LandWatch.com – the self-touted #1 online destination for land and rural retreats. Once you’ve found that perfect spot, contact the architects and quality craftsmen at Highlight Homes to build a custom home that will exceed your wildest expectations. If you wish to learn more about Highlight Homes, we invite you to visit us online at www.highlighthomes.com and be sure to “like us” on Facebook! When you’re ready to begin construction of a unique home renovation or break ground on a quality-crafted custom home, call us at 678.873.9234, e-mail us at info@highlighthomesga.com, or fill out our helpful online contact form. 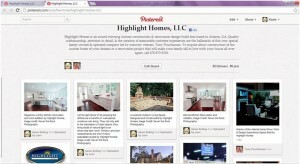 * Highlight Homes is not directly affiliated with the community of Lake Martin, Pinterest, or LandWatch.com. These are merely the opinions of the design-build team at Highlight Homes.